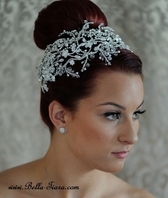 Our incredible line of wedding Headpieces at Bella-Tiara is sure to have that gorgeous piece you've been looking for. 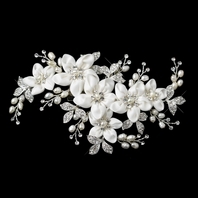 We have the finest collection of bridal headbands and wedding headpieces Lucky Collections Tiaras. Look no further for that hair accessory for your wedding day or special occasion because you're sure to find it at Bella-Tiara. Every wedding veil is more glamorous, every hairstyle is more stunning with the ideal accent piece to draw attention to and to perfectly finish your styling on your special day. Our Bella collection of affordable and yet elegant wedding hair accessories, bridal headbands and wedding headpieces features the finest craftsmanship couture crystal tiaras, rhinestones and pearl headpieces, couture crystal combs and hair accessories. Made with faux, coin, freshwater, and mother of pearl pearls Swarovski crystals and rhinestones, our designer jewelry and matching sets for bride and bridesmaid are all presented to you at unbeatable prices! 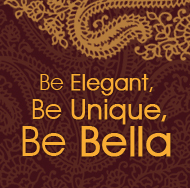 For the finest wedding hair accessories anywhere search the extensive line of bridal headbands, wedding hairpieces and more at Bella-Tiara.